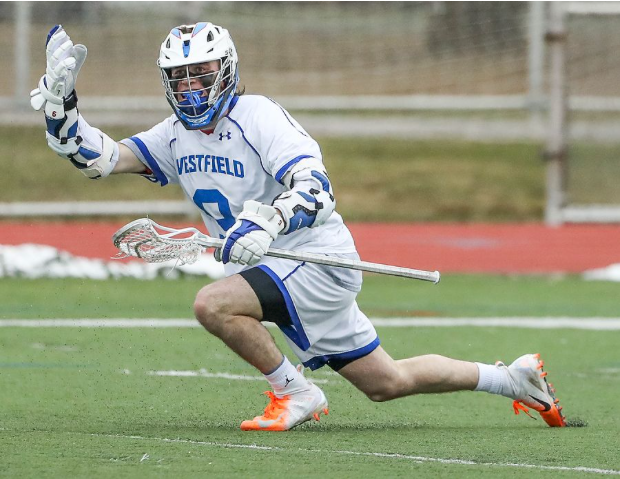 Congratulations to Devon McLane, for setting the All-Time points record along with the All-Time Assist record in Westfield High School History. 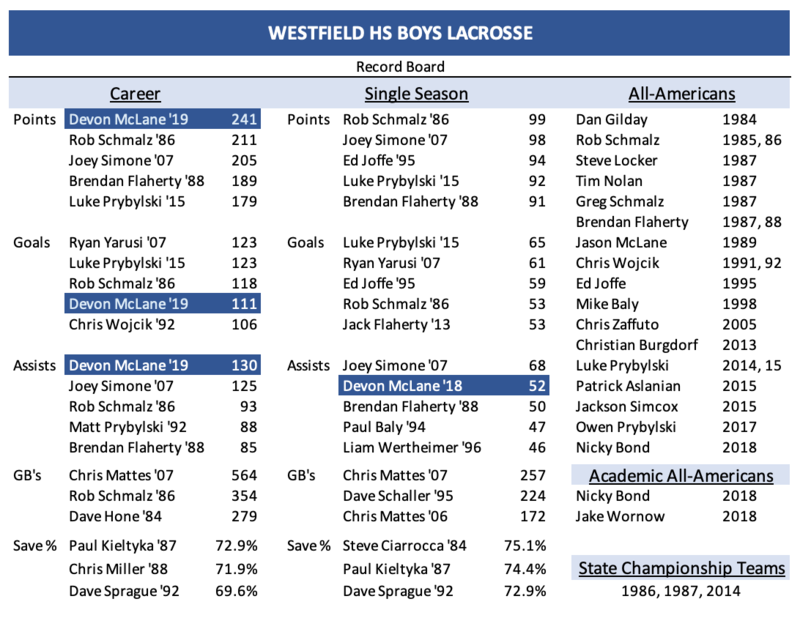 McLane passed Rob Schmalz on the All-Time WHS points leaderboard and his 212 career points now ranks 1st in Westfield High School history. McLane is also passed Joey Simone ('07) and is now the All-Time assist leader with130 assists. His career goal total of 111 places him 4th on the All-Time Goal list, 12 goals behind Ryan Yarusi ('07) and Luke Prybylski ('15).